The pale yellow robe of this Crémant d'Alsace is adorned with a sumptuous stream of fine bubbles, forming a fine mousse. An enticing bouquet of white flower and summer fruit aromas tilts towards the transcendent with the addition of a subtle hint of hazelnut, derived from the 24-month maturing process. 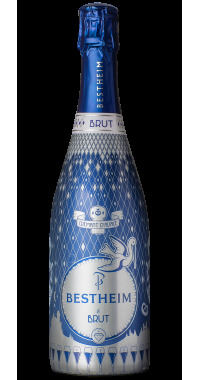 Admirable freshness and precise dosage of the sugar content allow this classic crémant to express the full breadth of its character. Made exclusively with Pinot Blanc and Pinot Auxerrois grapes, this crémant is the perfect choice for apéritifs and celebrations.